The Bereavement Ministry offers spiritual and emotional support, along with companionship for those who have experienced the loss of loved ones. 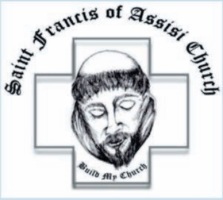 The members of the ministry are trained to successfully implement our mission to give comfort and support to the grieving families of the Saint Francis of Assisi Church community by giving them our time, hearing their thoughts and sharing their tears. The Bereavement Group meets on the last Tuesday of the month in the Parish Conference Room at 10:00am. If you are interested in participating in this ministry or know someone who might benefit from this ministry, please contact Paddy and Barbara Rice at pb.rice@comcast.net or via phone at (941) 473-3677 or complete the Volunteer Information Request form below to be contacted.